Spent a few beautiful days in Salzburg last week: home of Mozart and the Sound of Music, both exciting music-related things (although one is far more ingenious than the other). 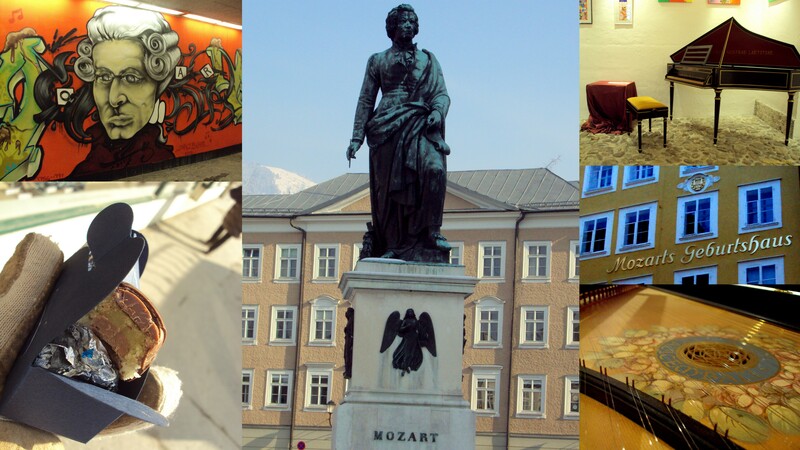 I learned a lot about Mozart while there, and will share some of those things soon with you all, but before I do, here’s a little taster of some Mozart-related monuments, etc. around town. By the way: Mozart spent about a third of his life traveling!